The Nagaland government on Tuesday asked the agitating Rashtriya Madhaymic Shiksha Abhiyan (RMSA) teachers to take a decision as an individual on whether to accept the offered salary or not and report to their respective district education officer. The RMSA state mission also requested the agitating teachers to take the opportunity and report to their respective district education officer. 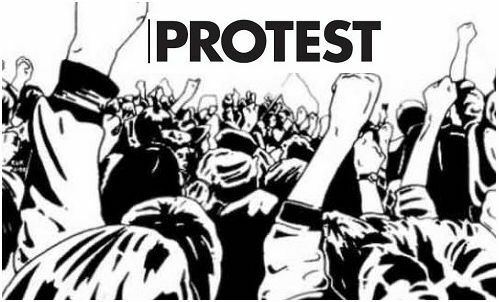 The RMSA teachers of 2016 batch began their second phase agitation in the form of a sit-in outside the directorate of school education in Kohima from Tuesday. They have been boycotting classes since August 27 to protest against an office memorandum issued by the state government directing them to either accept a reduced payment by Rs 6315 within a month or face termination. In a press release issued against the backdrop of ongoing RMSA teachers’ agitation in the state over reduced salary, principal secretary, school education, Menukhol John, listed clauses reportedly agreed to by the teachers during their appointments. The release said the appointment of the RMSA teachers was done directly by RMSA Mission Authority and not by the state government, with many binding clauses. It said their service is purely on a contractual basis and is liable to be terminated with one month notice as and when deemed fit by the appointing authority. As per the other clauses, the government said, the RMSA teachers’ tenure of engagement is co-terminus with RMSA scheme and payment of their salary will be subject to release of fund for the purpose by the ministry of human resource development. The release further said as their appointments are made through funding under RMSA programme, the state government will not be responsible for their salaries, including future service career of the appointees.